Referencing her own family’s history of displacement from Bosnia to Canada, the artist and her father sit down to perform the social ritual of grinding beans to make ‘Turkish coffee’; a practice that signifies hospitality and celebration, and has functioned as a social mesh for living in multi-ethnic regions. Recently nominated for the UNESCO database of intangible cultural heritage, the ritual has been archived among hundreds of others as a measure to recognize and preserve intangible world heritage. Where currently the digitized UNESCO archive presents static information and tourist-framed previews, the artist seeks to emphasize how living performance, language, and gesture intertwine to develop cultural learning. In the spoken mother language of Serbo-Croatian, the daughter figure mimics the performance of grinding coffee beans as guided by the mirrored father’s knowledge and instruction. 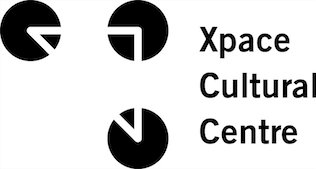 The cultural exchange is subtitled to reflect methods of institutional documentation and translation for potential, future participants in this cultural exchange. The External Space is located in the OCAD University Learning Zone located on level one of 113 McCaul Street, Toronto.